Construction sites are operating will full force, installing Rockfall Protection nets and Gabion retaining walls for Soil stabilisation. After the monsoon break, Construction Industry and Projects pick up at considerably high speed and works are in full swing. Did you know that most of the railway departments in India including the Southern Railway, Southwestern Railway, North Frontier Railways, Konkan Railway, Central Railway are adopting regulatory solutions like gabion retaining walls, Terramesh faced reinforced soil walls, rockfall protection with simple drapery system and secured drapery system? In most cases, laying of new railway tracks involve significant amount of earthwork. Huge amount of slope stabilization and erosion control problem arise with limited space availability. Most of the terrains have heavy rainfall intensity, high seismicity and repeated vibrations from train movement. These geotechnical challenges demand flexible solutions like Maccaferri Gabion Retaining walls and reinforced soil structures like Terramesh System. Retaining structures for slope stabilization and protection works have inherent flexibility, permeability, simplicity in construction, durability and ability of the structure to best merge with the environment. Maccaferri India’s first Terramesh system case study was for Southern Railways in Palliyali-Idichikaplamoodu Section in the year 2001. Since then the structure is serving the purpose. 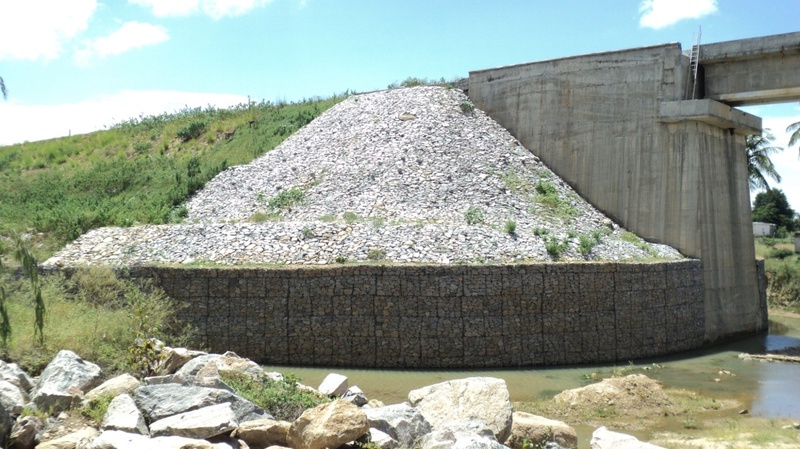 This was followed by various protection works with Maccaferri Gabions retaining walls and reinforced soil structures along various stretches. Konkan Railway has consumed more than 8sqm of Rockfall netting for providing simple drapery system. Innovative applications like construction platforms with gabions and retaining ballast with baby gabions gained popularity because they also imply significant saves of about 30-40%. For stretches where falling rocks are a problem mitigation measures like simple drapery system, secured drapery system with HEA Panels and HR Steelgrid can be adopted. Similar measures are taken up by North Eastern Frontier railway in the context of Rockfall Protection systems, for exemple High Energy Absorption panels and Mono Oriented Steel Grids.